If the one-line SPA502G is not sufficient for your user’s requirements and the eight-line SPA508G is just overkill for most users then there is the SPA514G which is a Gigabit Ethernet four-line IP phone. Being Gigabit enabled is a real bonus as most wired Ethernet networks today run over Gigabit Ethernet and if nothing else will provide the vast bandwidth between the desktop and switch to support both concurrent PC and voice traffic over a single cable. The SPA514G has all the other attributes as its siblings with regards to features, functions, QoS and security. One notable addition is that it does have a larger amount of memory available to support 150 contacts in local storage and larger call logs. 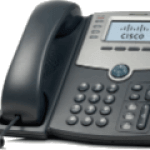 The Cisco SPA514G is a compromise between the one line SPA-502 and the eight lines SPA-508, and as such should be given careful consideration when matching phone capabilities to user requirements. 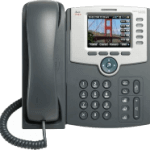 The SPA-514G shares all the common call handling features and functions with its sibling from the 500 series range though the SPA514G does have a twin port Ethernet switch that supports Gigabit Ethernet. 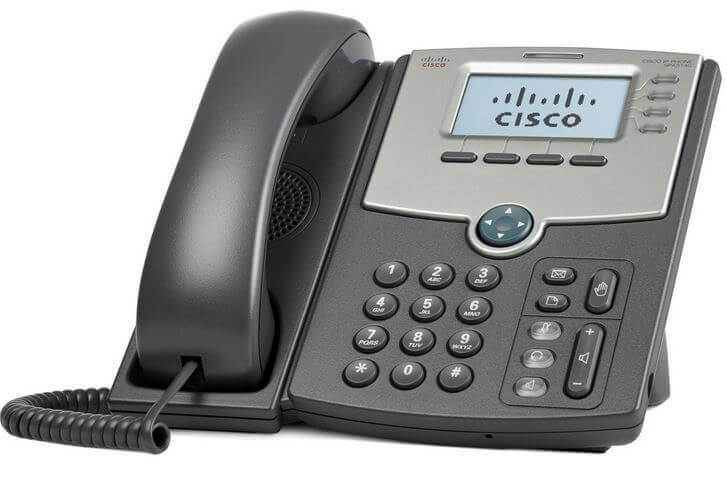 This may well be an important differentiator to network administrators but for the telephone user the only differentiator is the number of lines. Of course for the telephone administrator another key differentiator is the price.